This document describes the Parochial Church Council’s (PCC) policy with regard to the interment of ashes in the churchyard. It is based upon the Diocese of Gloucester’s General Directions www.gloucester.anglican.org/content/pages/documents/1457618985.pdf. Charges for interment will be levied at the statutory rate set by the Church of England and any additional fees set by the PCC. All fees are payable by the date of the interment. Ashes must be placed in a bio-degradable bag, or poured into the plot. A small flat plaque, lying flush with the ground level, may mark the place of interment of ashes. 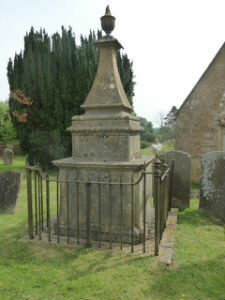 Those intending to erect a memorial/gravestone should not enter into any agreement with a monumental mason for its supply until the necessary permission for its introduction into the churchyard has been granted either in writing by the parish priest or by way of a faculty granted by the Chancellor. Certain types of memorial are not permitted, either because they are felt to be inappropriate in appearance, out of keeping in a Christian burial place, or because they are likely to be difficult to maintain (or a combination of these reasons). A churchyard is not a private place in which anything is acceptable but rather a place where many people have a shared interest in its appearance. 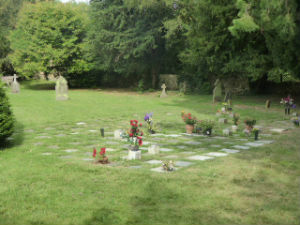 In order to facilitate the maintenance of the churchyard, stones, gravel or chippings are not allowed. Flowers may only be placed in a removable container. Wreaths and cut flowers may be placed in such containers or laid on any grave, but must be removed as soon as they appear to be withered or dead. Artificial flowers are not allowed except for Remembrance Day poppies and traditional Christmas wreaths. They should be removed after no more than 2 months. The PCC may, at its discretion, at any time remove and dispose of wreaths, cut flowers, artificial flowers and vases placed in a churchyard if it is considered that, in the PCCs reasonable opinion, they have deteriorated and/or have become unsightly. A parish priest, churchwarden or whoever is authorised by the PCC to look after the churchyard is permitted to remove unsightly flowers and any items not permitted by Gloucester Diocesan Regulations if they consider they are not maintained to an acceptable and tidy condition. Items such as plaques, cups, lights, crosses and other mementos should not be left on or between memorial plaques, and will be removed and stored beside the adjacent dustbin. 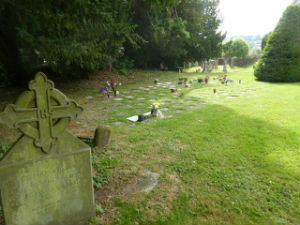 One suitable toy or tribute may be placed on the grave of a child (ie a person under 18 years of age) provided that it is removed after a period of six months. No ornaments or additions may be placed on other graves save for flowers or wreaths. There may be special reasons to vary this policy, or make exceptions to it. However, only the Vicar, who will take into account the Church’s wider responsibilities for pastoral care, may approve such variations jointly with the PCC. No variation will be applied during any Interregnum and, if necessary, the advice of the Rural Dean will be sought. In the case of any dispute that cannot be resolved locally, the escalation route is via the Archdeacon of Cheltenham.